Launched in 2015 at WantedDesign, American Design Honors recognizes talented young American designers who demonstrate outstanding creative and entrepreneurial skills, who already have a solid body of work, an original design language and are pioneering a new design business model. As an ambassador of American design, this initiative will support and give International exposure to the honoree.. These young professionals have also demonstrated an ability to create innovative processes and products. American Design Honors has been established as a platform for the recipient to develop their practice. Through this program, Bernhardt Design and WantedDesign aim to promote American Design internationally and support the designers who are on the verge of getting to the next step in their professional path. I was very fortunate to be invited to Meisenthal France to work with the Centre International D'Art Verrier to work with the glass artisans of the 300 year old company to produce an experimental blown glass object. The Transatlantic Creative Exchange program was created by Wanted Design NYC and the results of the collaboration will be exhibited at Wanted Design in Manhattan, May 2016. I am very honored to be included in the most recent New York Times Style Magazine article entitled "New Talent, New Work" along with 3 other American Design Studios. "Last year, after being asked for the umpteenth time to share our take on who the key players are in the American design scene, we decided to launch the first annual American Design Hot List — an unapologetically subjective editorial award for the 25 names to know now in American design. We intended for the list to act as our guide to those emerging and mid-career talents influencing the design landscape in any given year, whether through standout launches, must-see exhibitions, or just our innate sense that they’d be ones to watch. But when we thought about the fact that no one else was doing anything remotely similar, we realized that the American Design Hot List could play a wonderful ongoing role in spotlighting the hard work and superior skill of a group of creatives who we believe deserves recognition." CHICAGOLAND is an exhibition of design work, created and executed in the Chicago area, by local designers and manufacturers. 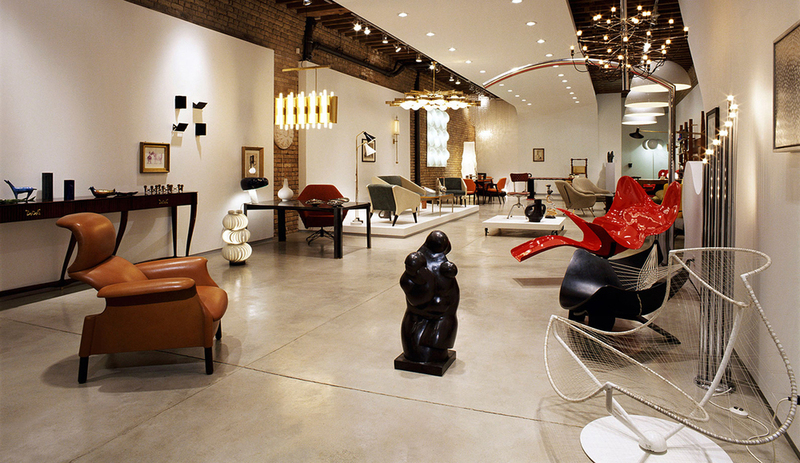 CHICAGOLAND will be on view in New York City during New York Design Week – the largest design market in the US. By showing our work during Design Week we will connect with design enthusiasts, collectors, retailers and other manufacturers and designers from across the country. Our goal is to engage this community for press exposure, product licenses and other exhibition opportunities, as well as drive sales and bring business back to the Midwest. What role do traditional "craft" skills and the handmade play in today's contemporary landscape of design and production? How much change has occurred, what innovation can be discovered in historic methods, and what traditions no longer apply to today's and tomorrow's production? WantedDesign and the Museum of Arts and Design team for this evening conversation with leading US manufacturers and designers to explore case studies in the adaptation of traditional skills to the contemporary environment.